I always think this installation will be taken down soon and have always wanted to take a picture. It’s been yearsss and it’s still there. my neck of the woods! knew it the second i saw those hanging cd’s. didn’t even see the caption, i swear! tpaz/ right?! 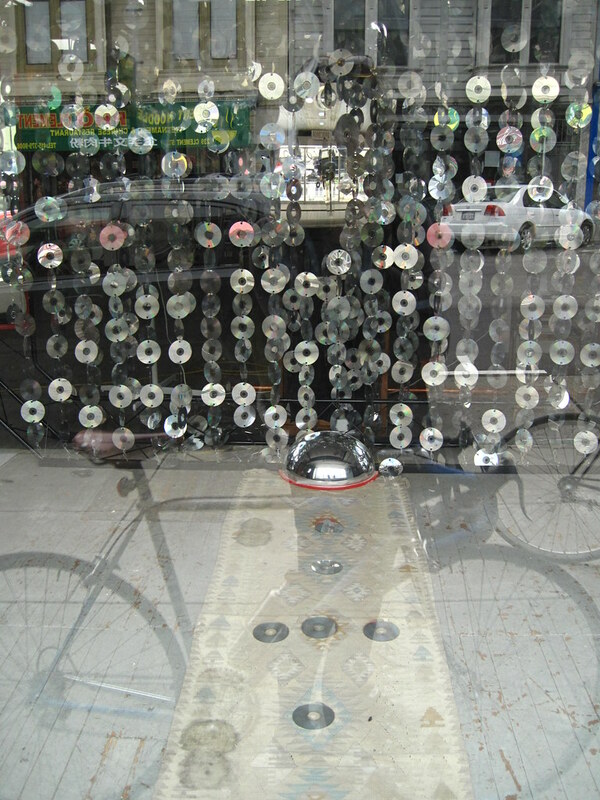 those cd’s should be a richmond landmark or something. Ghost bike, but in a good way. Very cool self-portrait, that would look good on a wall too.